5 YEAR ANNIVERSARY: Member Appreciation Day - NEW!! SALE! : Membership Sale - 2 DAYS ONLY! - NEW!! ROUTESETTING: USAC Level 1 Clinic - NEW!! YOGA: Blacklight Yoga - NEW!! Junior Program For 3-6 Years - NEW TIME - NEW!! Sign Up or Renew Your Membership! Thank you for being great members over the last 5 years! Clinics * Demos * Raffle * Food & Beer! 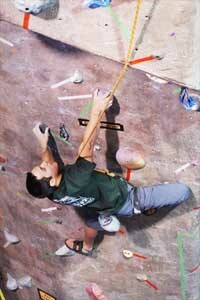 Edgeworks Climbing will will host a USA Climbing Level 1 route setting clinic. The clinic is taught by national & international competition route setter/trainer Mike Helt. If you’re a route setter that wants to take your career to the next level than this course is for you. USAC Level 1 certification route setting clinic will be an introduction to commercial and basic competition route setting. It will certify a participant to set at the ABS and SCS local levels and will establish proficient knowledge of the trade for beginner to advanced route setters interested in professional development and the potential for advancement in commercial and competition setting. Registration and cost details will be posted shortly For more information please direct all questions to Mike Moelter at mike@usaclimbing.org. Blacklights, wicked visuals, groovy tune, and chakra opening vinyasa! Take your yoga practice to a new dimension! All levels are welcome! Just bring yourself. Come as you are. Wear white and glow while you flow. 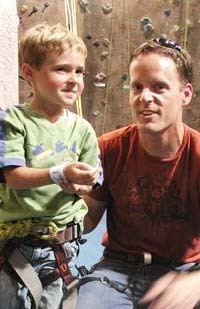 Junior Climbing 3-6 Years - NEW TIME! Mon/Wed 3:45pm - 4:30pm NEW TIME! You've learned the basics of climbing in a gym, now let's learn how to climb outside! 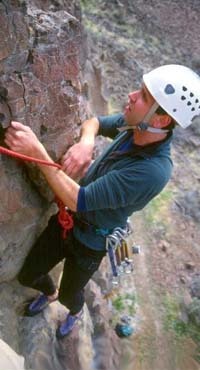 This class will teach you basic climbing technique on outdoor climbs. Our instructors are masters at getting your skills up to par so you can be comfortable on the rock. You've learned the basics of leading and setting sport anchors, now it's time to take these skills outside! In this class our professional instructors will guide and instruct you through the whole process of climbing outside at local sport crags. You will perfect your leading, anchor creation and cleaning skills as well as get plenty of climbing! New routes are going up, and we are getting to ready to celebrate our 5 Year Anniversary; what better time than now to join as a member!